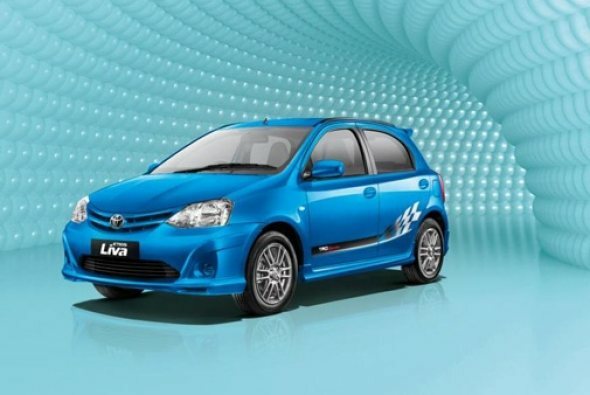 Toyota has launched a limited edition Liva TRD Sportivo model to mark the first anniversary of the Etios Liva small car in India, starting at Rs. 5.24 lakh. There are only 1,200 units if the Limited Edition Sportivo model which will be available at Toyota dealerships till October 2012. Toyota is attempting to attract young buyers who are looking for exclusivity with affordability. 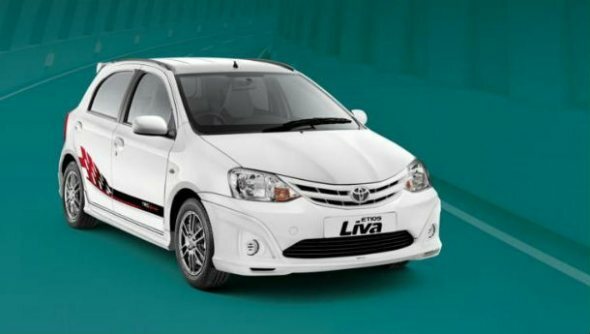 “The Liva TRD Sportivo Limited Edition is a trendy and sporty vehicle for the ever enthusiastic and vibrant youth of today. It will offer product exclusivity and excitement thus enhancing the ownership experience and image of the Etios Liva.” Sandeep Singh, Deputy Managing Director, Marketing, TKM said. Also read: Upcoming Chevrolet Sail versus the Toyota Etios Liva! The Liva TRD Sportivo has been specially designed by Toyota Racing Development (TRD), Japan. Lets take a look at all that is new on the Liva Sportivo. The Sportivo is available in both petrol and diesel variants and priced at Rs 5.24 lakh and Rs. 6.32 lakh respectively. This special edition model will be offered in two colour options, i.e. white and “Ultramarine Blue”. The variant that gets this Sportivo pack is the Liva G variant. In the diesel, it is the Liva GD variant that gets the Sportivo pack (but not the safety pack). The Sportivo variants cost about Rs. 50,000 more than the equivalent Liva G/GD variant. What you get for that Rs. 50,000 extra in this special edition includes features like front bumper spoiler, side skirts, dual-tone rear bumper spoiler and roof spoiler. Other changes include smoked 15-inch alloy wheels with a “Gun-Metal” finish, roof ornament and body graphics. The special edition TRD Sportivo comes with a chrome badge on the boot lid, new seat fabric with “TRD Sportivo” logos and a silver shift knob. However, the car does not sport a tachometer, no fog lamps, no rear wiper/defogger and no music system. It comes with power windows, central locking, power steering and manual air-conditioning. Tell us what you think of this stylized Toyota Etios Liva Sportivo.